Police arrested a Pakistan-born suspect trying to flee aboard a plane to Dubai after the failed Times Square bomb plot that officials said Tuesday was designed "to kill Americans". US Attorney General Eric Holder identified the suspect as Faisal Shahzad, a US citizen who the FBI said was born in Pakistan. Holder said the probe was focusing on "overseas" terrorist groups. 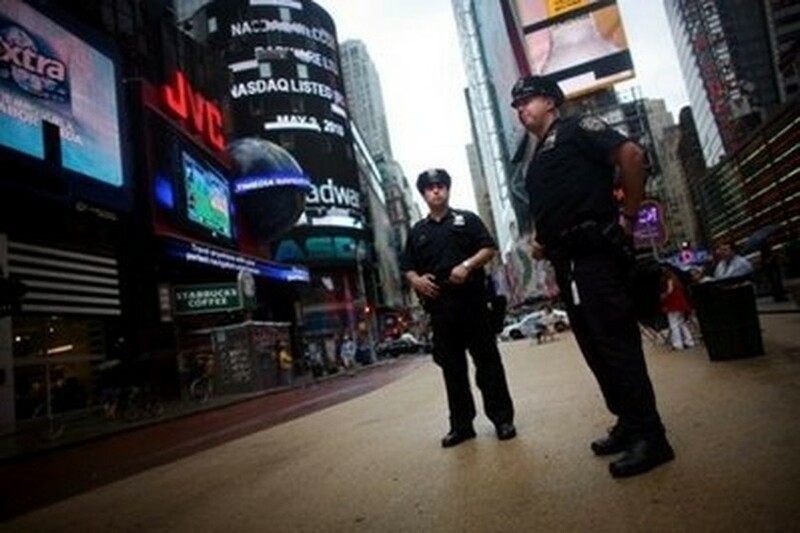 News reports said the suspect, aged 30, lived in Connecticut and had recently returned from a five-month trip to Pakistan and the city of Peshawar, a known jumping off point for Al-Qaeda and Taliban recruits. "Mr. Shahzad, an American citizen, was taken into custody at JFK Airport in New York as he attempted to board a flight to Dubai," Holder told a hastily called news conference in Washington after midnight. Authorities offered few other details but said the investigation into the attempted attack late Saturday was being pursued on several fronts. "This investigation is ongoing, it is multi-faceted, and it is aggressive," Holder said. "As we move forward, we will focus on not just holding those responsible for it accountable, but also on obtaining any intelligence about terrorist organizations overseas." Holder said of the attempted attack that it was "clear that the intent behind this terrorist act was to kill Americans." A separate statement from the FBI and other law enforcement agencies said Shahzad was taken into custody after "he was identified by the Department of Homeland Security's US Customs and Border Protection while attempting to take a flight to Dubai." The main was to appear later Tuesday to face "formal charges," which were not specified. News reports said the man was a 30-year-old Pakistani-American living in the state of Connecticut. ABC News reported that Shahzad, a naturalized American citizen, had recently returned from a five-month trip to Pakistan. ABC said officials tracked Shahzad over two days using evidence found in the Nissan Pathfinder left at the scene and the unexploded bomb components. According to authorities, Shahzad bought the vehicle one week before the bombing attempt, paying 1,300 dollars in cash for the vehicle in 100 bills, the network said. Part of the probe centered on two people captured on film leaving the scene late Saturday, New York Police Department (NYPD) Commissioner Raymond Kelly said Monday. One was caught on security camera walking away from the green Nissan Pathfinder that had been left in the teeming tourist area with a large but misfiring bomb inside. The man looked about in a "furtive" manner, Kelly said, and removed one layer of upper clothing. Police were also combing the Nissan sport utility vehicle and its rudimentary bomb consisting of timers, wires, fireworks, gasoline, propane tanks and fertilizer. New York has been on constant watch for potential attacks since the September 11, 2001, airliner attacks that destroyed the World Trade Center, killing almost 3,000 people. So far, the only group to claim responsibility for the would-be bombing is the Pakistani militant group Tehreek-e-Taliban. This was quickly dismissed by Bloomberg and Kelly. However, a video emerged showing Pakistani Taliban leader Hakimullah Mehsud -- reported to have been killed months ago -- vowing to attack major US cities. Another possible indication of jihadist links is the similarity of the botched bombing to a failed double car bomb attempt in London's entertainment districts in 2007. In Washington, White House spokesman Robert Gibbs said the attack clearly qualified as terrorism. "I would say that was intended to terrorize," he said. "Whoever did that would be categorized as a terrorist."